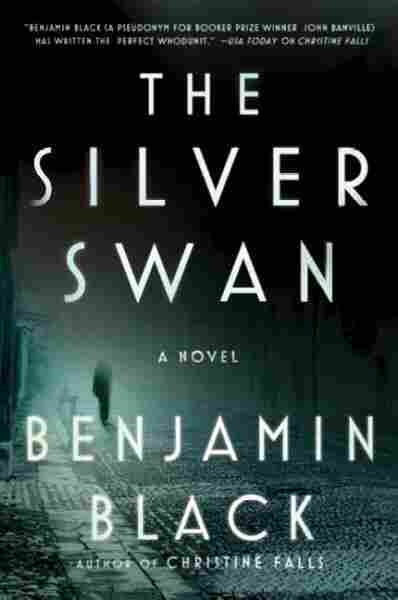 The Silver Swan NPR coverage of The Silver Swan by Benjamin Black. News, author interviews, critics' picks and more. With his personal life in turmoil, irascible Dublin pathologist Quirke gets in over his head once again when an old acquaintance asks him to investigate the apparent suicide of his young wife, Deirdre Hunt, and Quirke uncovers some dangerous secrets that had been better off hidden and that pose a grave danger to his loved ones. By the author of Christine Falls. 100,000 first printing. Quirke did not recognize the name. it seemed familiar but he could not put a face to it. Occasionally it happened that way; someone would float up without warning out of his past, his drinking past, someone he had forgotten, asking for a loan or offering to let him in on a sure thing or just wanting to make contact, out of loneliness, or only to know that he was still alive and that the drink had not done for him. Mostly he put them off, mumbling about pressure of work and the like. This one should have been easy, since it was just a name and a telephone number left with the hospital receptionist, and he could have conveniently lost the piece of paper or simply thrown it away. Something caught his attention, however. He had an impression of urgency, of unease, which he could not account for and which troubled him. What was it the name sparked in him? Was it a lost memory or, more worryingly, a premonition? He put the scrap of paper on a corner of his desk and tried to ignore it. At the dead center of summer the day was hot and muggy, and in the streets the barely breathable air was laden with a thin pall of mauve smoke, and he was glad of the cool and quiet of his windowless basement office in the pathology department. He hung his suit jacket on the back of his chair and pulled off his tie without undoing the knot and opened two buttons of his shirt and sat down at the cluttered metal desk. He liked the familiar smell here, a combination of old cigarette smoke, tea leaves, paper, formaldehyde, and something else, musky, fleshly, that was his particular contribution. He lit a cigarette and his eye drifted again to the paper with Billy Hunt’s message on it. Just the name and the number that the operator had scribbled down in pencil, and the words “please call.” The sense of urgent imploring was stronger than ever. Please call. Squinting at the scrap of paper on the corner of the desk, he lifted the telephone receiver and dialed. The bell jangled afar down the line. —Afterwards, out of curiosity, he had upended another whiskey glass, this time one he had not emptied, to find if it was really possible to see himself in the bottom of it, but no reflection had appeared there. The sound of Billy Hunt’s voice was no help; he did not recognize it any more readily than he had the name. The accent was at once flat and singsong, with broad vowels and dulled consonants. A countryman. There was a slight flutter in the tone, a slight wobble, as if the speaker might be about to burst into laughter, or into something else. Some words he slurred, hurrying over them. Maybe he was tipsy? “Of course I do,” Quirke lied. At last a face began to assemble itself in Quirke’s laboring memory. Big broad forehead, definitively broken nose, a thatch of wiry red hair, freckles. Grocer’s son from somewhere down south, Wicklow, Wexford, Waterford, one of the W counties. Easygoing but prone to scrap when provoked, hence the smashed septum. Billy Hunt. Yes. They met in bewley’s café in grafton street. It was lunchtime and the place was busy. The rich, fat smell of coffee beans roasting in the big vat just inside the door made Quirke’s stomach briefly heave. Odd, the things he found nauseating now; he had expected giving up drink would dull his senses and reconcile him to the world and its savors, but the opposite had been the case, so that at times he seemed to be a walking tangle of nerve ends assailed from every side by outrageous smells, tastes, touches. The interior of the café was dark to his eyes after the glare outside. A girl going out passed him by; she wore a white dress and carried a broad-brimmed straw hat; he caught the warm waft of her perfumed skin that trailed behind her. He imagined himself turning on his heel and following after her and taking her by the elbow and walking with her out into the hazy heat of the summer day. He did not relish the prospect of Billy Hunt and his dead wife. He spotted him straightaway, sitting in one of the side booths, unnaturally erect on the red plush banquette, with a cup of milky coffee untouched before him on the gray marble table. He did not see Quirke at first, and Quirke hung back a moment, studying him, the drained pale face with the freckles standing out on it, the glazed, desolate stare, the big turnip-shaped hand fiddling with the sugar spoon. He had changed remarkably little in the more than two decades since Quirke had known him. Not that he could say he had known him, really. In Quirke’s not very clear recollections of him Billy was a sort of overgrown schoolboy, by turns cheery or truculent and sometimes both at once, loping out to the sports grounds in wide-legged knicks and a striped football jersey, with a football or a bundle of hurley sticks under his arm, his knobbly, pale-pink knees bare and his boyish cheeks aflame and blood-spotted from the still unaccustomed morning shave. Loud, of course, roaring raucous jokes at his fellow sportsmen and throwing a surly glance from under colorless lashes in the direction of Quirke and the arty lot. Now he was thickened by the years, with a bald patch on the crown of his head like a tonsure and a fat red neck overflowing the collar of his baggy tweed jacket. That morning a party of Gardai had gone out in a launch and lifted poor Deirdre Hunt’s naked body off the rocks on the landward shore of Dalkey Island. “They called me in to identify her,” Billy said, that strange, pained smile that was not a smile still on his lips, his eyes seeming to gaze again in wild dismay at what they had seen on the hospital slab, Quirke grimly thought, and would probably never stop seeing, for as long as he lived. “They brought her to St. Vincent’s. She looked completely different. I think I wouldn’t have known her except for the hair. She was very proud of it, her hair.” He shrugged apologetically, twitching one shoulder. Quirke was recalling a very fat woman who had thrown herself into the Liffey, from whose chest cavity, when he had cut it open and was clipping away at the rib cage, there had clambered forth with the torpor of the truly well fed a nest of translucent, many-legged, shrimplike creatures. A waitress in her black-and-white uniform and maid’s mobcap came to take Quirke’s order. The aroma of fried and boiled lunches assailed him. He asked for tea. Billy Hunt had drifted away into himself and was delving absently with his spoon among the cubes in the sugar bowl, making them rattle. Billy looked down, and his lower lip began to tremble and he clamped it babyishly between his teeth. “Have you children, Billy?” Quirke asked. Once more Billy lowered those pale lashes and gazed at the sugar bowl. A mottled tide of color swelled upwards from his collar and slowly suffused his face to the hairline and beyond; he was, Quirke realized, blushing. He nodded mutely, sucking in a deep breath. Quirke waited. The room was steadily filling with the lunchtime crowd and the noise had risen to a medleyed roar. Waitresses skimmed among the tables bearing brown trays piled with plates of food—sausage and mash, fish and chips, steaming mugs of tea and glasses of Orange Crush. Quirke offered the cigarette case open on his palm, and Billy took a cigarette, seeming hardly to notice what he was doing. Quirke’s lighter clicked and flared. Billy hunched forward, holding the cigarette between his lips with fingers that shook. Then he leaned back on the banquette as if exhausted. “Which ones?” Quirke asked, expressionless. “I could have a word with the coroner,” Quirke said, making it sound doubtful. But it was not stories in the newspapers that was on Billy’s mind. He leaned forward again, suddenly intent, and reached out a hand urgently as if he might grasp Quirke by the wrist or the lapel. “I don’t want her cut up,” he said in a hoarse undertone. Quirke sipped his by now tepid tea, the tannin acrid against his scalded tongue. He did not know what he should say. He rarely came in direct contact with the relatives of the dead, but occasionally they sought him out, as Billy had, to request a favor. Some only wanted him to save them a keepsake, a wedding ring or a lock of hair; there was a Republican widow once who had asked him to retrieve a fragment of a civil war bullet that her late husband had carried next to his heart for thirty years. Others had more serious and far shadier requests—that the bruises on a dead infant’s body be plausibly accounted for, that the sudden demise of an aged, sick parent be explained away, or just that a suicide might be covered up. But no one had ever asked what Billy was asking. Quirke waited, but Billy had nothing more to say, and he turned and walked away. In the afternoon, on quirke’s instructions, they brought the body from St. Vincent’s to the city-center Hospital of the Holy Family, where Quirke was waiting to receive it. A recent round of imposed economics at the Holy Family, hotly contested but in vain, had left Quirke with one assistant only, where before there had been two. His had been the task of choosing between young Wilkins the horse-Protestant and the Jew Sinclair. He had plumped for Sinclair, without any clear reason, for the two young men were equally matched in skill or, in some areas, lack of it. But he liked Sinclair, liked his independence and sly humor and the faint surliness of his manner; when Quirke had asked him once where his people hailed from Sinclair had looked him in the eye without expression and said blankly, “Cork.” He had offered not a word of thanks to Quirke for choosing him, and Quirke admired that, too. He wondered how far he should take Sinclair into his confidence in the matter of Deirdre Hunt and her husband’s plea that her corpse should be left intact. Sinclair, however, was not a man to make trouble. When Quirke said he would do the postmortem alone—a visual examination would suffice—and that Sinclair might as well take himself off to the canteen for a cup of tea and a cigarette, the young man hesitated for no more than a second, then removed his green gown and rubber boots and sauntered out of the morgue with his hands in his pockets, whistling softly. Quirke turned back and lifted the plastic sheet. Deirdre Hunt—or Laura Swan, or whatever name she went under—must have been, he judged, a good-looking young woman, perhaps even a beautiful one. She was—had been—quite a lot younger than Billy Hunt. Her body, which had not been in the water long enough for serious deterioration to have taken place, was short and shapely; a strong body, strongly muscled, but delicate in its curves and the sheer planes at flank and calf. Her face was not as fine-boned as it might have been—her maiden name, Quirke noted, had been Ward, suggesting tinker blood—but her forehead was clear and high, and the swathe of copper-colored hair falling back from it must have been magnificent when she was alive. He had a picture in his mind of her sprawled on the wet rocks, a long swatch of that hair coiled around her neck like a thick frond of gleaming seaweed. What, he wondered, had driven this handsome, healthy young woman to fling herself on a summer midnight off Sandycove harbor into the black waters of Dublin Bay, with no witness to the deed save the glittering stars and the lowering bulk of the Martello tower above her? Her clothes, so Billy Hunt had said, had been placed in a neat pile on the pier beside the wall; that was the only trace she had left of her going—that and her motorcar, which Quirke was certain was another thing she would have been proud of, and which yet she had abandoned, neatly parked under a lilac tree on Sandycove Avenue. Her car and her hair: twin sources of vanity. But what was it that had pulled that vanity down? Then he spotted the tiny puncture mark on the chalk-white inner side of her left arm. Copyright © 2008 by Benjamin Black. All rights reserved.